With the Gallardo LP 570-4 Spyder Performante, Lamborghini is setting a benchmark in the most fascinating automobile segment of all – the open-top super sports car. 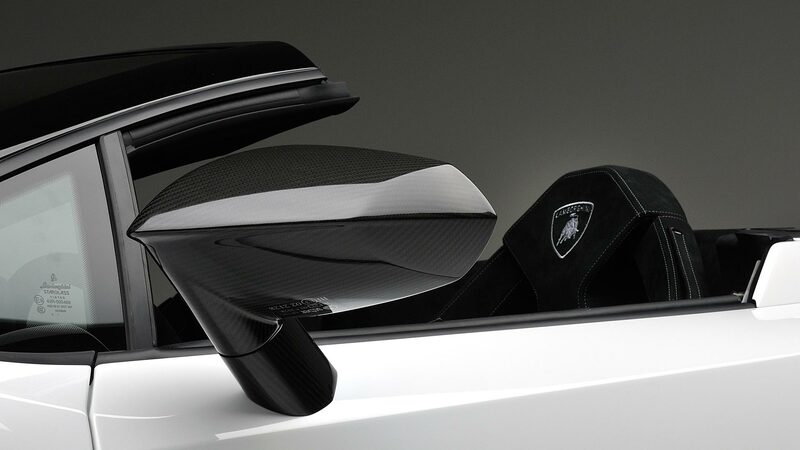 As “Performante”, the Gallardo Spyder is even lighter thanks to CFRP technology, even more agile and even more dynamic. The new SpyderPerformante is an automotive high-performance athlete that combines sheer sporting excellence and extreme performance with that unique open-air feeling that only a soft-top spanning the ten-cylinder power unit can offer. Ultimately, every spin in the Spyder Performante is like a journey into the eye of the storm. The V10 power unit with a displacement of 5.2 liters generates 419 kW (570 hp) in the Spyder Performante and guarantees breathtaking performance – it catapults the open-top LP 570-4 from 0 to 100 km/h (0-62 mph) in a mere 3.9 seconds and keeps on going to a top speed of 324 km/h (201 mph). 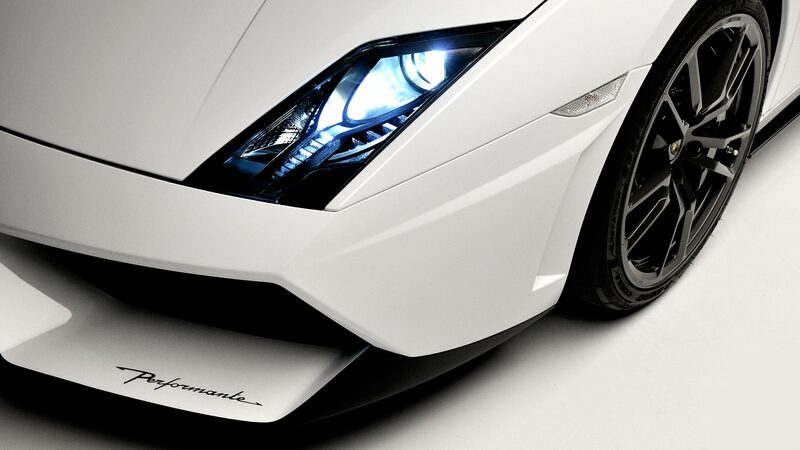 The elegance of every Lamborghini rests on its extreme power and precise function. 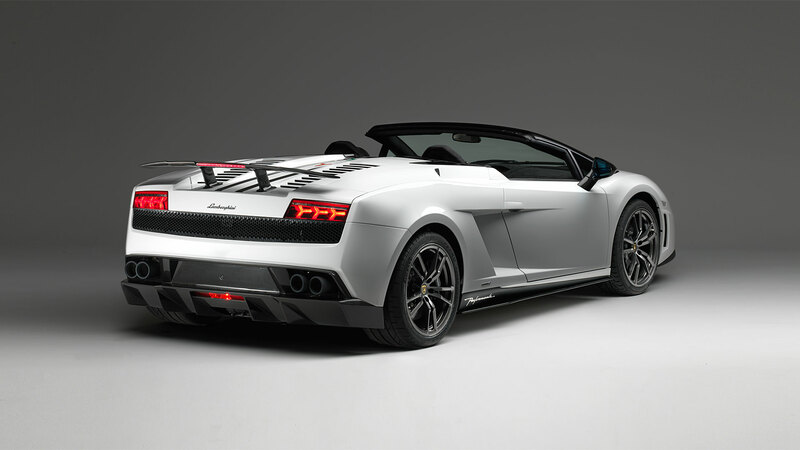 The design of the Gallardo LP 570-4 Spyder Performante, too, concentrates on the sheer essence of the design language – the bodyshell is pure sculpture and free of superfluous decoration. Its profile follows the contours of a dynamic wedge measuring 4.39 meters long, 1.90 meters wide, but only 1.18 meters high. 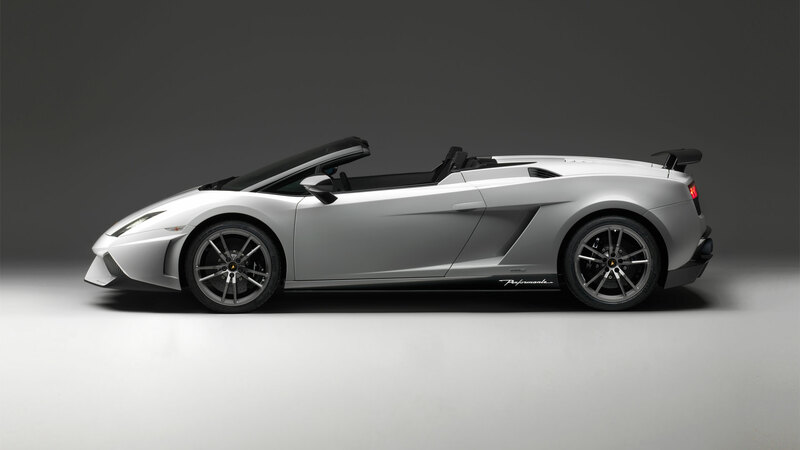 Open or closed, the top of the Spyder Performante can handle the very highest speeds.